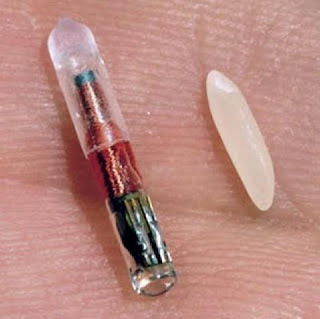 A pet microchip is a chip a little bit bigger than a grain of rice, that is implanted using a needle under the skin of your pet, normally between the shoulder blades. Injecting the microchip is normally painless, or perhaps just a little instant discomfort for your pet (we have heard of pets that haven't even noticed) and the important thing is that the chip can then be registered with your contact details. 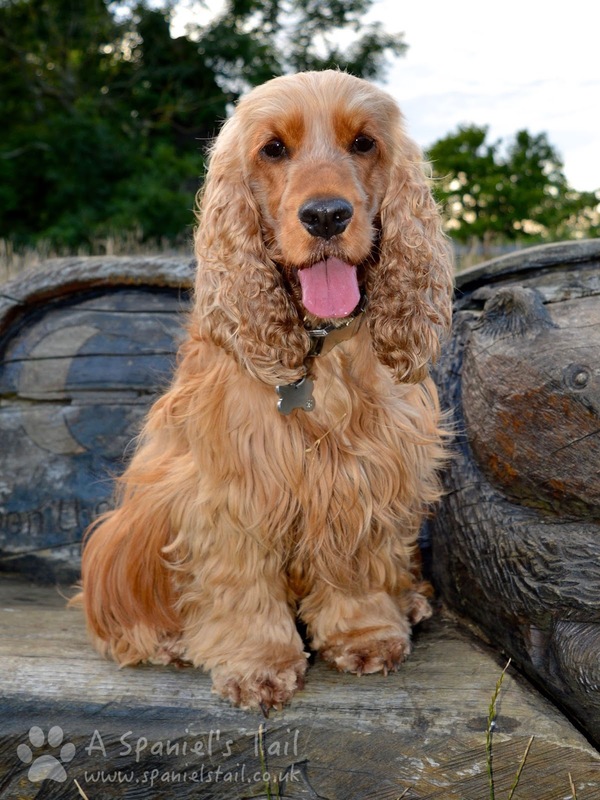 If your pet is lost, the pet can be scanned and the chip details picked up, reuniting you with your beloved pet. Does my dog have to have one? Yes. The Microchipping of Dogs (England) Regulations were brought in in 2014, and will become a compulsory requirement from the 6th April 2016. From this date, all dogs must be microchipped and registered on an approved database by the time they are 8 weeks old. There are no exemptions, bar if your vet declares that the dog should not be chipped due to health issues. The normal laws of wearing a collar and identity tag will carry on applying - click here to read our article on this. If your dog is scanned and either has no scannable microchip, or is not registered to an approved database, you will be given a 21 day notice to rectify this. In 21 days, if this has not been complied with, you could be charged £500. This also includes if your details aren't up to date, so don't get complacent just because your dog is chipped - check those details are right! Where is the best place to register the microchip? We have Lottie logged with Petlog, the main registration site in the UK - we upgraded to the Petlog Premium Lifetime Membership for a small one-off charge, and that allows us to make changes whenever we like. Additionally, there is an app that you can use to instantly raise an alert if your pet goes missing, a 24/7 phoneline, and it is part of a European network of databases. One useful feature we also find is the ability to log alternative contacts if you are away, or they are unable to contact you for some reason. My best friend is logged as a secondary carer. Is your dog microchipped? If not, get this organised. Your vet will be able to do this for you for a charge - alternatively, charities like the Dogs Trust run free microchipping clinics. Click here to search for a location near you. If your dog is already microchipped, or once you have it done. make sure your contact details are up to date on the registration database that you are logged on. If you don't know if your dog is microchipped, or if you think it isn't working, get your vet to check. Although rare, sometimes they can slip from their original location or occasionally stop working. A new one can then be implanted. Petlog have an FAQ page for anything I may have missed off here. Here's a cute, but very important message from the Kennel Club to enjoy! 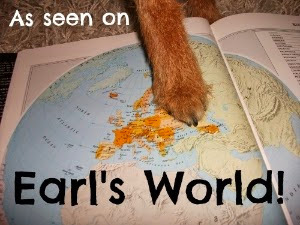 I found your article on BlogPaws. I'm so pleased to hear that microchipping is becoming law enforceable in the UK! I lived in London for many years and I have to say the UK is light years ahead regarding dogs. Just the fact that pooches has access to go just about anywhere their owners do is a testament to that. Making microchipping compulsory is just another example of this. This could, and over time, will put a stop to filthy practices like dog theft, dog trafficking and dog fighting. It'll also help places like The Dog Trust, Battersea Dogs and Cats Home and all the other shelters who daily find abandoned dogs on their doorsteps to track down those people and hopefully have them prosecuted. Very interesting. Although I am a big proponent of micro chipping (all of our dogs have always been chipped) I would not like to see it made mandatory over here and especially in a dog as young as 8 weeks. I think people should be free to choose whether to chip their dogs or not.